Don’t miss these opportunities to connect with other Asset Champions. Qdoba Mexican Grill at Excelsior & Grand, 4712 Excelsior Blvd. You have to eat lunch, so stop by this informal Champion Charge. Grab a burrito or salad and chat with other Asset Champions. Facebook Training: A session has been added! Lenox Community Center, 6715 Minnetonka Blvd. 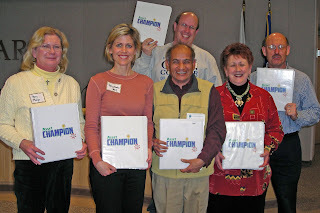 Join Asset Champions in cyberspace through Facebook. Come to this session where you will set up your page and get launched in Facebook. Please email Karen. if you plan to attend. Haven’t been trained as an Asset Champion yet? If you would like to be trained as an Asset Champion, join us Tuesday afternoon January 27 for this interactive training. The session covers information about Children First, the 40 developmental assets and the role of an Asset Champion. Reservations are required to ensure we have the necessary training materials available. Please email Karen. Grab something warm to drink and share ideas with other Asset Champions. Stop by as your schedule permits.